Auto Finesse Iron Out is an intensive cleaner designed to dissolve brake dust and iron-rich contaminants upon contact. 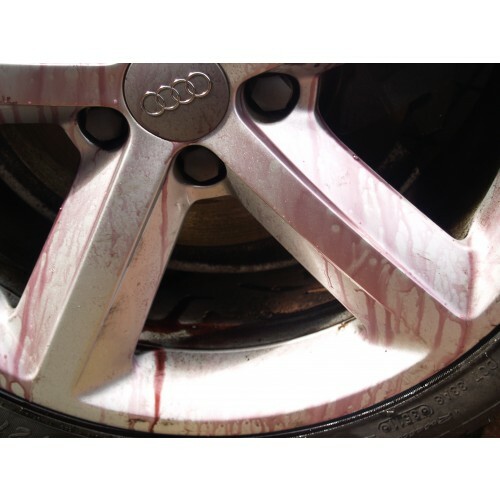 Although best suited to the cleaning of neglected wheels, it is also perfectly safe for use on other exterior surfaces in situations where iron contaminants are proving difficult to remove. Examples of such contaminants include railway dust, which can be highly resistant to all but the most aggressive clays, and iron-rich fallout, which can be hard to see but easy to feel with your fingertips. 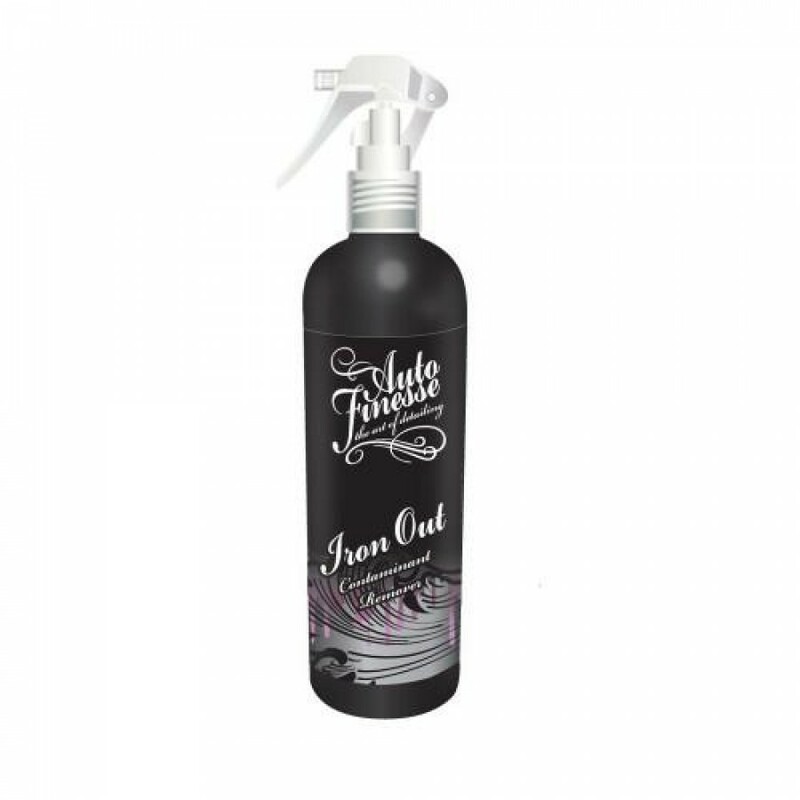 The main ingredient in Auto Finesse Iron Out is a powerful neutralised acid salt. This reduces iron particles into a soluble form, making them easy to rinse away with a stream of water. 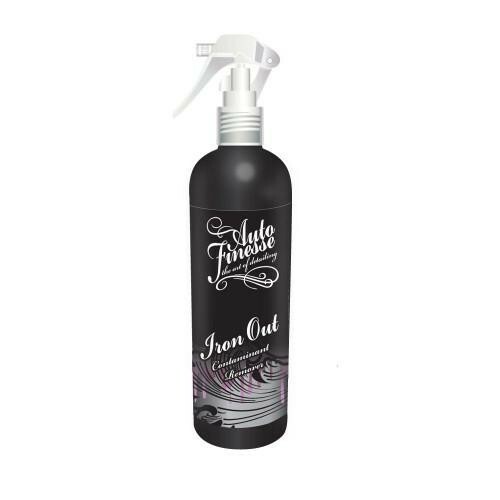 As a result, Auto Finesse Iron Out is safer and less harsh than traditional acid-based wheel cleaners, but equally as effective in terms of cleaning power. Its gel-like composition means it clings to treated surfaces with ease, extending its working time and minimising the need for agitation in all but the most extreme cases. Reactive iron contamination disolver. 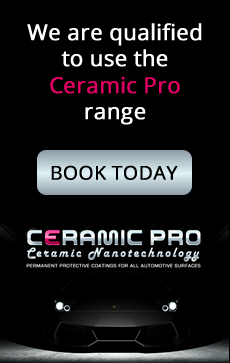 This pH neutral formula will react and dissolve contamination from all exterior surfaces, paintwork, wheels, glass and even trim, simply spray, allow to react and rinse.